You may have laid eyes upon the rather good looking Granblue Fantasy: Relink once or twice over the last year or so. The PS4 action RPG has seemed immensely promising each time that we've seen any gameplay, but the project may not be going quite as smoothly as that oh-so-silky combat may suggest. 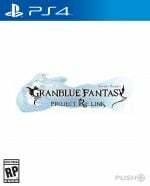 Cygames, the mega studio behind the Granblue franchise, has announced that it'll be handling the development of Relink from this point on. In other words, Platinum Games -- the crazies behind the action in NieR: Automata, Metal Gear Rising, and Vanquish, to name a few -- is no longer working on the project. "Cygames would like to assure everyone looking forward to the title that we remain committed to delivering a game that meets the expectation of our fan base and gamers everywhere," reads Cygames' statement on the matter. Meanwhile, Platinum Games has also acknowledged the change in its own post, and asks fans to continue supporting the title. It's an interesting alteration, but not necessarily one that deserves a knee-jerk reaction. As we've said, Relink has looked great each time that we've seen it, and as far as we know, Platinum Games' contract has come to an end, so this could just be a case of the developer moving on and leaving the rest to Cygames. What's more, this doesn't mean Cygames is starting things over from scratch. It's probably safe to assume that the project is quite far into development, and the studio is simply carrying on as planned. 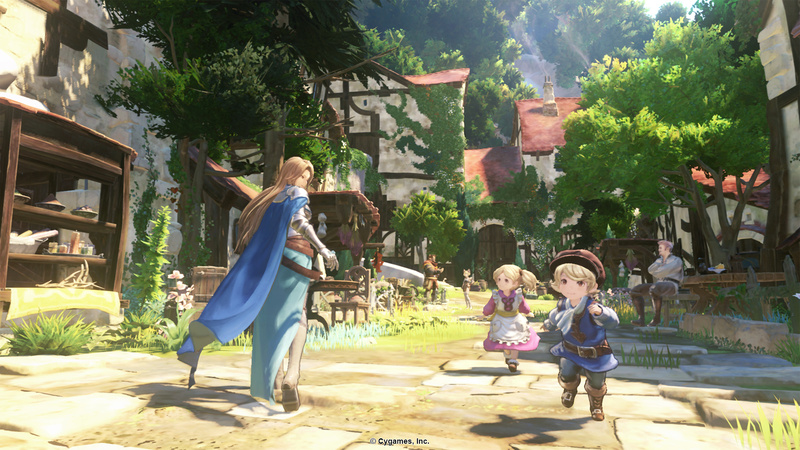 Nevertheless, we hope to see more of Granblue Fantasy: Relink in the coming months. @GKO900 I'm still going to follow this game and see how it turns out, I'm sure Platinum Games laid the importante foundation work and now Cygames is just going to do the story. This game already looks much better than most JRPGs out now and am really hoping the game turns out good. Doesn't sound encouraging, but I guess we'll see how it turns out. As long as they don't have to restart development from scratch, it should be okay. Thank you for once again being the most levelheaded PS news site in the net. Maybe Platinum will add that team to Bayonetta and get that game out the door sooner... a boy can dream. The thing I want from Platinum is ‘oh-so-silky combat’. If that’s already locked down, we should be ok. Okay, what happens? I heard platinum deleting the granblue link on their website and cygames deleting platinum logo on their granblue website. Maybe platinum is spreading too thin? I think they should be like insomniacs, develop 1 big games and a couple of small/vr ones rather than develops 3 big AAA games simultaneously (grandblue, bayo 3, babylon fall). If They just keep doing something similar to what they have showed - still day 1 for me. Action games are balanced and rebalanced right up to launch. I trust Platinum to get that right, but I have no idea if CyGames are up to it. And just like that I lost interest. But I choose to believe Platinum Games is now working hard on a NieR Automata sequel. Cygames? Isn't that some logo I see when starting Witcher 3...Good looking game. I just wish more and more RPGs will just have this stylish cel-shaded art style going forward, each one having their own unique style like BOTW, It just fits the genre. Dishonored has its own painting-art-style. Heck I wish most games came up with more different styles. Still looking forward to it. Platinum Games are a bit hit & miss for me. If all they did was the gameplay/fighting aspect the game should still turn out great. Platinum Games cant be big enough for all this. Working on that Babylon thing for Square, this, and Bayonetta 3 plus something else for Switch. Platinum being involved made sense since Cygames are well known for browser games not console ones. I hope the game turns out well, since Ni no Kuni II and Dragon Quest have come out this is probably my next most anticipated JRPG. I'm a little worried about Platinum Games. It wasn't too long ago that they were making a lot of different titles for different systems and now it seems that things are getting cancelled or changing around during the development cycle. I hope it's for the best but I've got a suspicion that Platinum could be in trouble. That's rather odd - I'll see how this one turns out. @Churchy I look for Nintendo to make them a second-party studio if these kinds of cancellations and project shifts keep taking place. They have collaborated on couple of Nintendo-developed titles (Star Fox Zero and Star Fox Guard), plus Bayonetta seems to have become a “Nintendo” franchise since funding the completion of Bayonetta 2 (and by extension Bayonetta 3). Lets not forget the brilliant Wonderful 101 and MadWorld are also a Nintendo exclusive. Honestly, other than Nier Automata, I think most of Platinum Games best titles are Nintendo-exclusives. This doesn't mean much. Platinum could just helped build the foundations for the combat system (which looks to be done, if we can judge by the trailers) and now CyGames will continue with the finishing touches. Supposedly the game comes out later this year. Since Platinum have helped out with this, I'm automatically interested. We'll just have to wait and see how this game turns out now. @NintendoFan4Lyf To be honest, they're the type of developer someone could snap up, or at least make an exclusivity deal with. Haha, the comment about recognising your bias did make me chuckle, but I say all the power to you. If the Ninty Plat games are your favourite, then that's awesome. I never dug into Bayonetta too much but what I did play was really good. However my favourite Plat game has to be Vanquish. Either way they're a great studio and I hope they keep making games. @Churchy Truth be told, I have only played the Platinum Games on a Nintendo system. I did get Vanquish through Games With Gold. I will have to give it a shot.